Just released today was the newest DVD in the Chuggington collection! 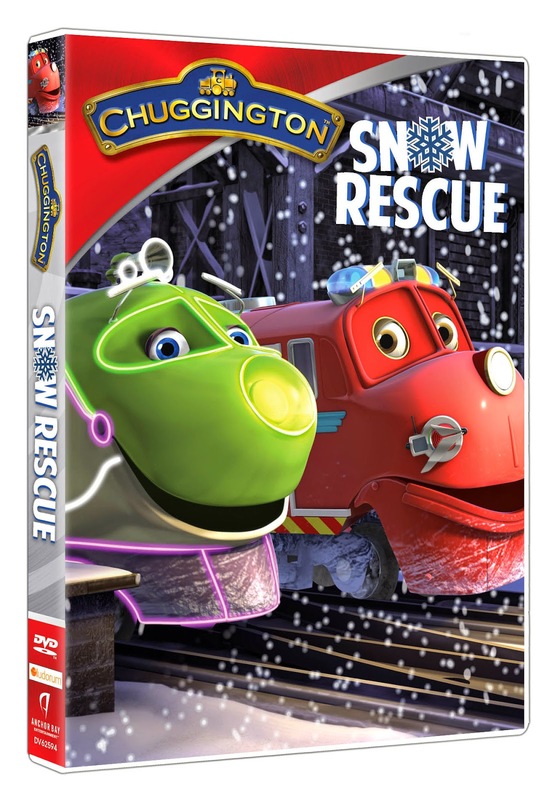 Snow rescue, perfectly timed for the holidays this new Chuggington adventure is sure to put all fans in the holiday mood. My little guys have been long time fans of Chuggington. They love trains and seeing the Chuggers alive and doing day to day things is amazing to my kiddos. I love that it promotes teamwork, safety and working together. I also love that sometimes they mess up and need to go back and ask for help. It lets my kids know it is okay to make errors and they can be fixed.